Great American Eclipse 2017 | Dr. Justin Imel, Sr. I was privileged to travel to Sweetwater, Tennessee to witness the total eclipse of August 21, 2017. 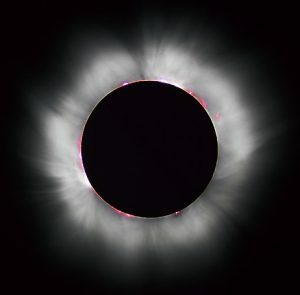 I had wanted to see a total eclipse since I was in Mr. Miller’s fourth grade class at Camargo Elementary–that school year we watched the annular eclipse of May 30, 1984. I vividly recall Dad’s making pinhole projectors so that we could safely watch the celestial show. This time I bought glasses to watch the partial eclipse, and the total eclipse was far beyond my expectations and left me with a sense of awe and wonder. Here are videos I took of the eclipse. My view of the total solar eclipse of August 21, 2017 from Sweetwater, Tennessee. As I saw the moon pass before the sun, all I could think was: “Oh, my God!” Not in irreverence or flippantly, but in total awe. This video is uncut. The sky and all colors became a very eerie shade just before the total eclipse of August 21, 2017. Here is a short video I took just before totality of the 2017 Eclipse. Notice the strange coloring–I’ve heard from some that it seemed pre-tornado coloring. I was attempting to capture shadow bands, but I never saw any.